After a 30-year career in the Information Technology industry in service engineering and sales & marketing, Tony retired in 2003 and went back to school (for fun!). 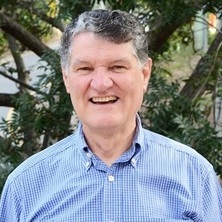 Tony completed a degree in Finance and Management, Masters by Research in Management (Trust development in newly forming teams) and a PhD (Economics of happiness). Beatton, Tony, Kidd, Michael P. and Sandi, Matteo (2018). Age in cohort, school indiscipline and crime: regression-discontinuity estimates for Queensland. LCC Working Paper Series 2018-13, Institute for Social Science Research, The University of Queensland. Other Outputs: Do changes in the lives of our peers make us happy? Beatton, Tony and Frijters, Paul (2018). Do changes in the lives of our peers make us happy?. LCC Working Paper Series 2018-14, Institute for Social Science Research, The University of Queensland. The developmental significance of sleep transition in early childhood. Do changes in the lives of our peers make us happy? Beatton, Tony, Kidd, Michael P. and Machin, Stephen (2017). Gender crime convergence over twenty years. LCC Working Paper Series 2017-26, Institute for Social Science Research, The University of Queensland. Beatton, Tony and Frijters, Paul (2017). Determinants of adolescent happiness in Australia. LCC Working Paper Series 2017-18, Institute for Social Science Research, The University of Queensland.